Everybody Look to the left! Jessie J and Channing Tatum are dating! Is this an unlikely romance?! Very well yes! 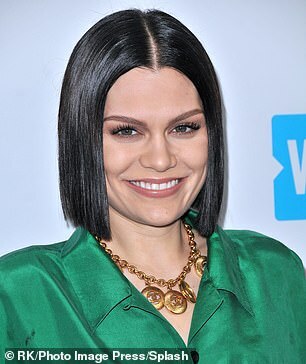 but it might seem like Tatum does have a type with fans on social media noticing how much new flame British Singer Jessie J and his Ex Jenna Dewan look alike. Channing and Jenna who met while starring in the 2006 film Step Up,married three years later but announced some months back they were splitting after almost 10 years of marriage. 'We have lovingly chosen to separate as a couple,' the couple announced on Instagram. 'We fell deeply in love so many years ago and have had a magical journey together. Absolutely nothing has changed about how much we love one another, but love is a beautiful adventure that is taking us on different paths for now.' The statement read as they announced their divorce 6 months ago.. According to US Weekly,The couple have moved on and are now seeing new people. Jenna has reportedly been on a few dates but Channing is the one who is now in a full relationship. 'It's new, casual and they're having fun together the magazine says..
See any resemblance? Jessie on the left and Jenna on the right..
Channing sure does have a type!